Over the summer during a visit to France I came upon a moving reminder of the importance of a journal dedicated to encouraging academic scholarship in the field of international naval history. Just several hundred meters inland from the imposing U. S. Navy Monument in Normandy dedicated by the Naval Order of the United States, sits the splendid Utah Beach Museum, recently refurbished through a generous grant from the The David Dewhurst Foundation of Texas. Flying a B-26 aircraft, LtCol David H. Dewhurst of the 386th Bomb Wing, 9th Air Force, led the final attack against German fortifications along the landing zone at 0725 on 6 June 1944, just five minutes prior to the scheduled assault. The museum houses one of the few remaining B-26s in the world. LtCol Dewhurst returned safely to his home in Houston after the war, only to be killed in an accident with a drunk driver. His son was only three years old and would only “discover” his father years later during a visit to Utah Beach in 2007, leading him to donate over two million dollars to refurbishment of the museum first created by the long-time Mayor of Sainte Marie du Mont, France, Michel de Vallavieille, in an old German bunker in1962. Tucked away in a side gallery of the museum, off from the B-26, was an exhibit dedicated to a little-known story of the contribution to the Allied cause in World War II by the Danish Merchant Marine. When the Nazis overran Denmark on 9 April 1940 during Operation Weserubung, 230 Danish vessels amounting to over 1,200,000 tons manned by thousands of Danish Merchant Mariners were quite literally marooned at sea. Ordered to return to German controlled territory, most of the crews refused and subsequently sailed for British or other Allied ports. These vessels and their crews remained in service supporting the Allies for the duration of the conflict. Their contribution was not inconsequential to the war effort, particularly at the critical juncture before the United States entered the war while Britain was hanging by a slender thread. Over 60% of these ships were sunk by the Germans and more than 1,500 Danish seamen died. The story of the Danish Merchant Marine service stands as a stark reminder of the international dimension of war at sea and also epitomizes in a very real sense why there is a need for an outlet such as the International Journal of Naval History (IJNH) to chronicle stories such as this. The journal has been “in port” for a while, replenishing so to speak, for the coming voyages of intellectual discovery. As we head back to the sea of historical inquiry, we do so with a great sense of appreciation for the very concept of this journal as established by our Founding Editor, Dr. Gary E. Weir, now Chief Historian at National Geospatial-Intelligence Agency. In many ways Gary was a visionary, ahead of his time in appreciating the coming age of digital history and publications. We shall make every effort to remain true to his original vision for openness and fresh scholarship in the world of naval history. From time to time in the coming issues, which I trust you will find worth reading and discussing with colleagues, students and friends alike, we shall try some new approaches. I want especially to encourage and to mentor our younger colleagues, the next generation of naval historians. In the future we also plan to have some issues of IJNH built around topical questions. For example, looking ahead, the 100th anniversary of the onset of The Great War is less than a year away. Sometime during 2014 we would like to devote an entire issue to some of the many important naval aspects of that monumental conflict. Finally, we want to continue doing those traditional things such as publishing articles and book reviews. If you want to be one of our book reviewers, or have a manuscript you would like us to consider, please get in touch with either me or our Book Review Editor, Dr. Chuck Steele of the Air Force Academy. And so, colleagues, we have much to share with one another. I welcome your comments, suggestions, ideas, and potential articles. There is much to learn from such dialog. 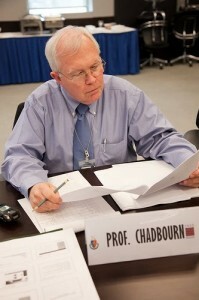 This entry was posted in Editorial and tagged 2013, Chadbourn, editorial, history, IJNH, international, issue, journal, naval, navy, NWC, Quarterdeck. Bookmark the permalink.